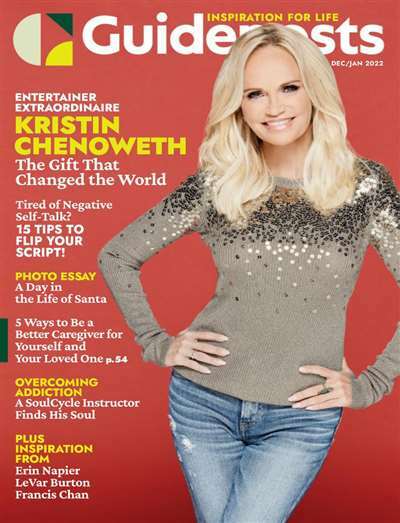 Guideposts is a motivational magazine that inspires and guides millions of people on living a happy and successful life. Each monthly issue contains a number of articles and first-person stories written by people from all walks of life, meant to inspire and nurture the personal growth and spiritual needs of the magazine's devoted readers. Topics that are regularly covered in the magazine show you how to balance your faith and values with everyday life, nurture your spiritual values and help you reach out to others. The monthly cover stories of each issue feature a notable public individual. Guideposts magazine has been a source of hope and inspiration to millions of Americans for over 60 years. 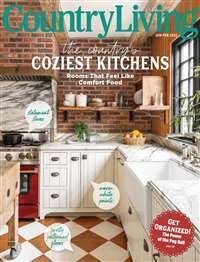 Subscribe to Guideposts Magazine at MagsConnect.com. Guideposts is a publication I had seen on my grandmother's nightstand for many years before I ever picked it up and read it. I had assumed it was an "old person's" magazine because everyone I knew who read it was old! I was mistaken. 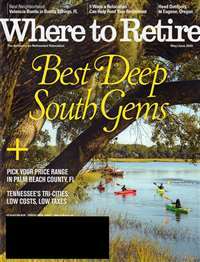 Guideposts is an inspirational magazine. Its small format (5x7) makes it perfect to tuck in a purse or backpack, and the stories are short and uplifting. Each issue opens with a message from the Editor-in-Chief, Edward Grinnan. It is sincere, welcoming, and refreshing. As this is a magazine that encourages faith in God, it is good to see that its writers and editors share the faith. I remember a story I heard once about a guy who wanted to walk across a field. There was a post at the end where he wanted to go. He just fixed his gaze upon the post and walked straight to it. When he looked back, his footsteps were in a straight line. Other people had tried to walk across the same field but kept looking back to where they had been. Their steps did not go in a straight line. This is, of course, an analogy about life. We can choose to follow THE guiding light, God, or we can try to create our own way. Guideposts, the magazine, celebrates those who have chosen to follow God's leading in their life. 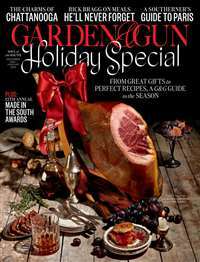 Guideposts is definitely a magazine that fans the flame of faith and hope within a person. As a Christian, I appreciate this immensely. I am a magazine reader. If I had the money to subscribe to tons of magazines, many more trees would lose their life, I'm afraid. Since I don't have that sort of money, I go to my mothers and read her stacks and stacks of them. As a matter of fact she has a magazine rack that covers a whole wall. 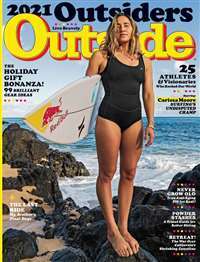 However, whenever I get to go to her house, the one magazine that I usually grab first is the Guideposts.